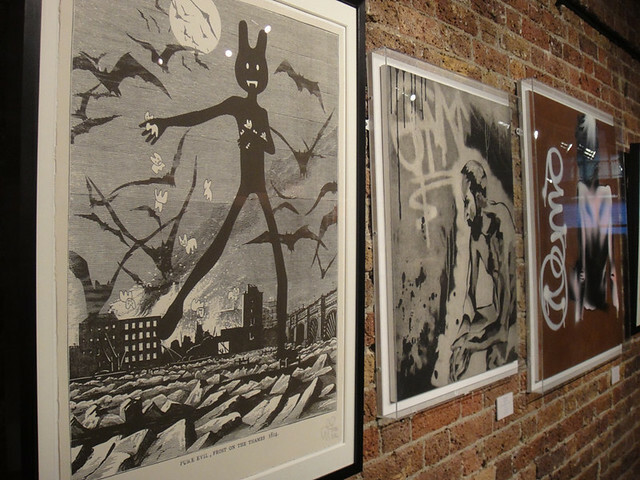 Yesterday i attended the Preview evening for the latest Black Rat Press exhibition which is currently hosting the V&A's collection of street art prints. 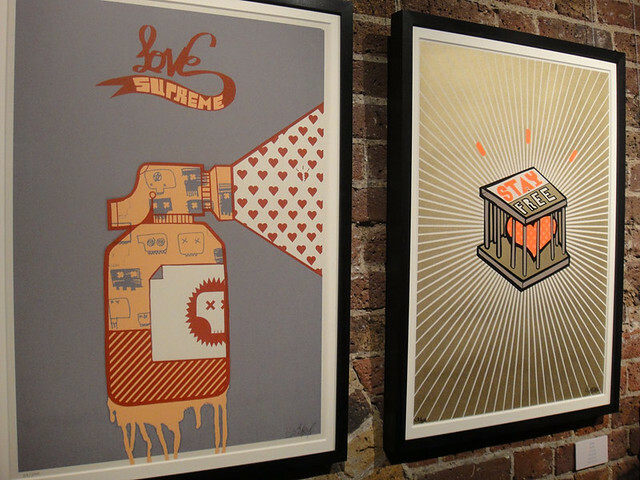 With work from the likes of Shepard Fairey, D*Face, Jon Burgerman, and Banksy, it's a great collection with some classic pieces on show. 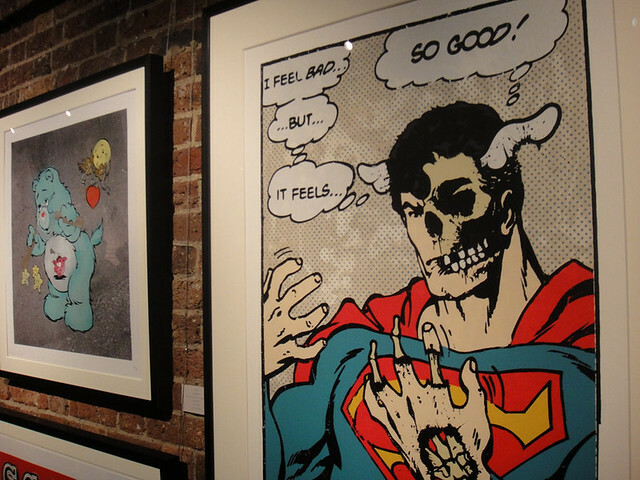 It was also nice to see a few prints i was unfamiliar with, such as Pure Evil's print 'Frost Fair' and Blu's 'CMYK' print. There are more photos up on my Flickr, if you want to head down there yourself the show starts today and runs until the 29th April. These are some of the creative posters around. 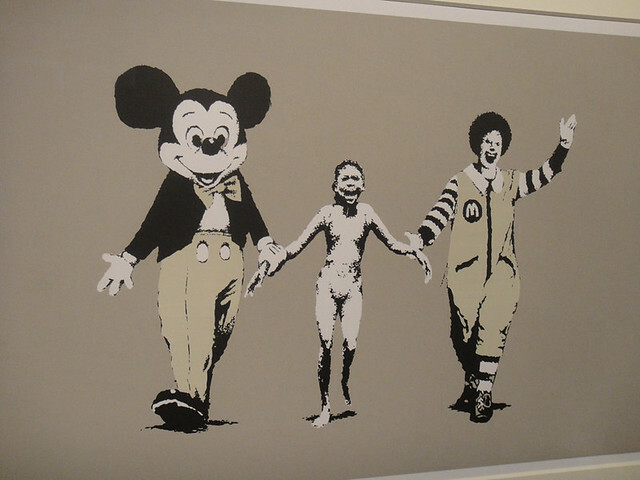 Contemporary prints express a different message. These are amazing artworks. It is nice to duplicate them through green printing so they could save a lot on reprinting them. 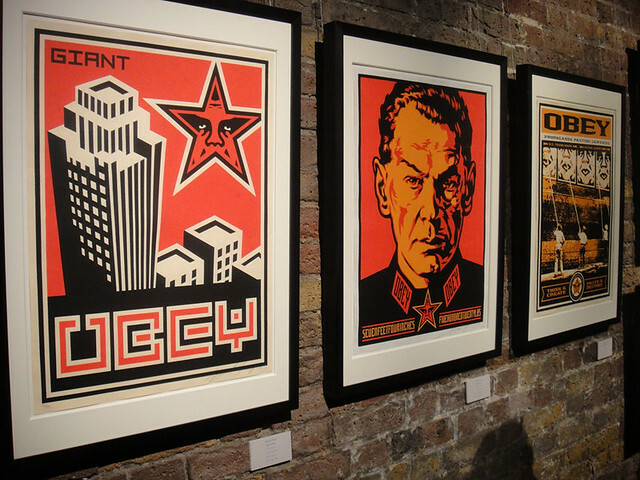 It is nice to display such wonderful artworks in your place.